When you no longer need your Yahoo account, delete it so you will stop receiving Yahoo email. Your personal information will be removed from the website. 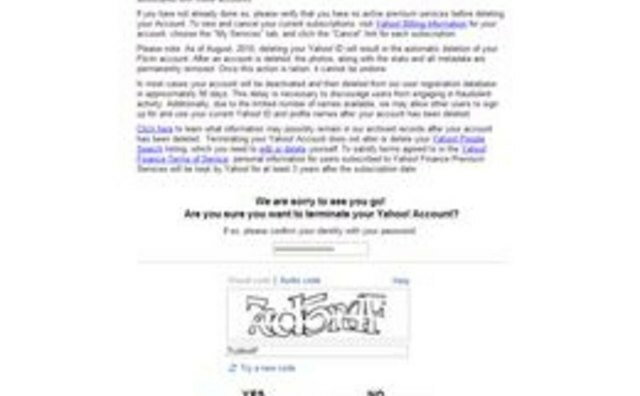 Closing your account deletes your membership at all other Yahoo services as well, including Flickr, Monster, Yahoo Groups and Finance Portfolio. 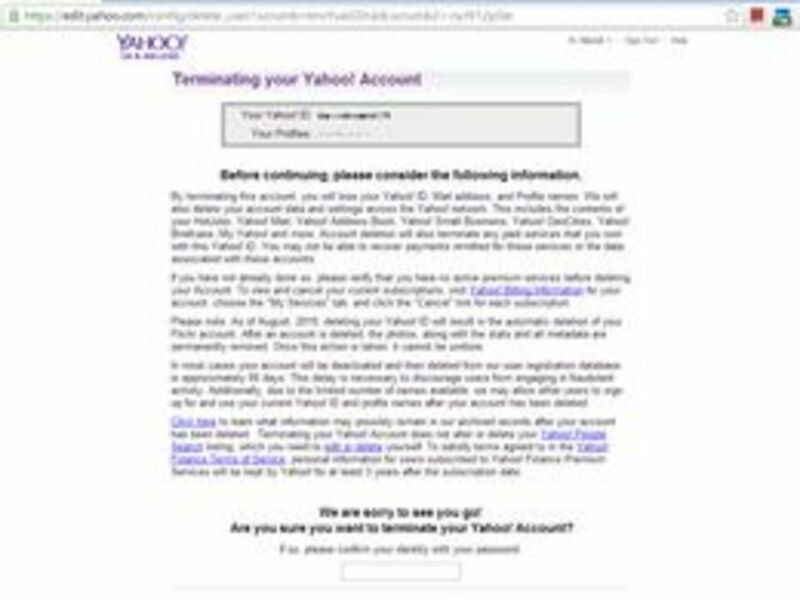 If you are sure you want to cancel your email and delete your Yahoo account, you can do so by visiting the account deletion page. 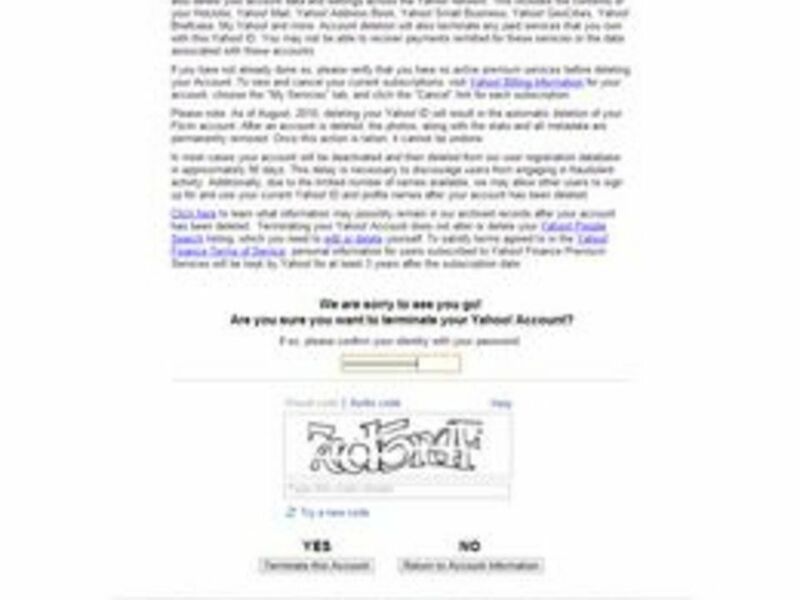 Open the account-deletion page on the Yahoo website. Log in with your username and password. 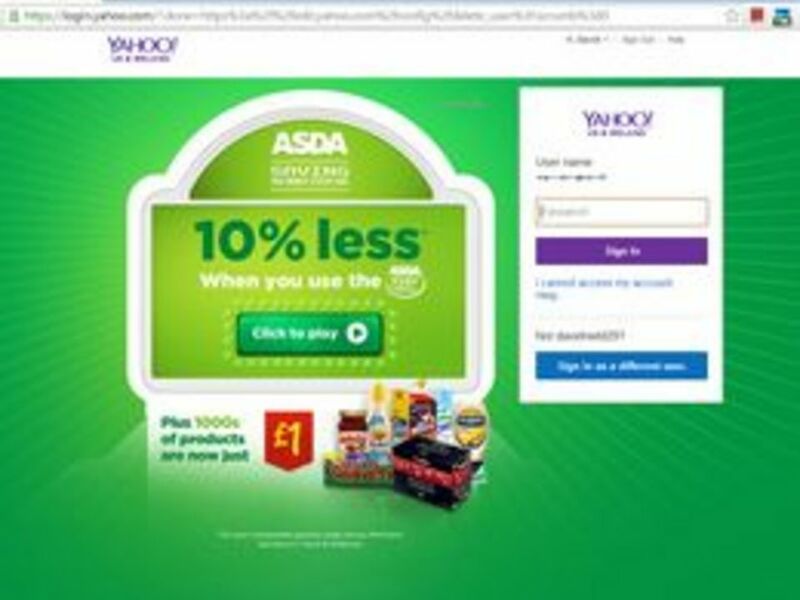 Verify that the user ID at the top of the page is correct and review the information on the page below, which explains how to end certain paid services, such as subscriptions, the various services that will end when you delete your Yahoo account, and the terms governing your account deletion. Confirm your identity by entering your password once more in the blank field below "Are you sure you want to terminate your Yahoo! Account?" Type the security code displayed in the generated box to verify that you are human and wish to delete your account. 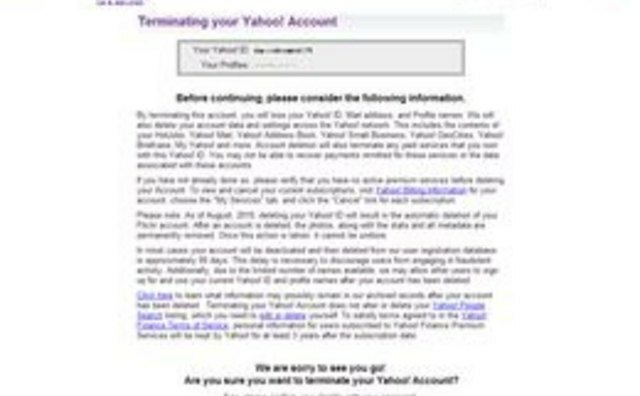 Your account will be deactivated and removed within 90 days, so your information may remain with Yahoo until the account is fully deleted. 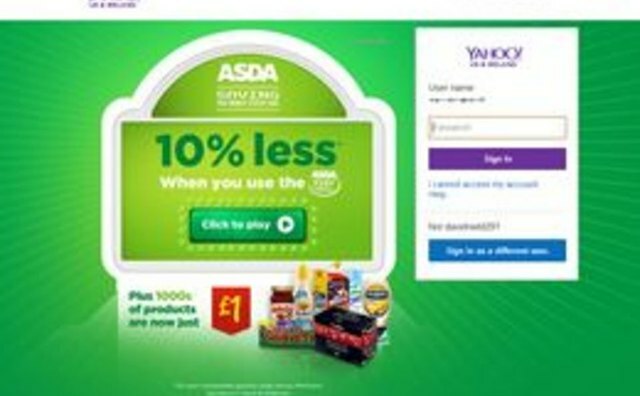 Yahoo: What Happens If I Close My Account?